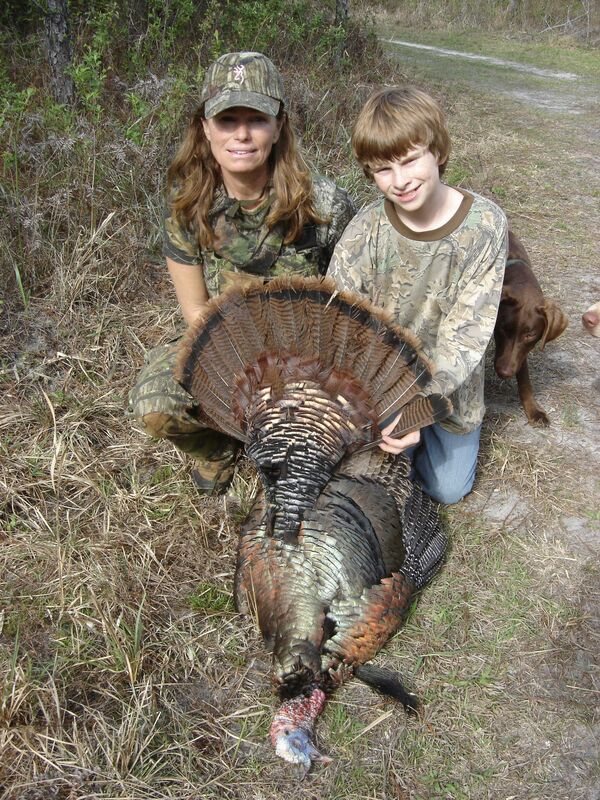 Hunting at The Gilchrist Club is great-- especially when the whole family's involved! Gilchrist County prides itself in having only one traffic light, but that’s not all! It also has one of the nicest private hunting and fishing clubs in the state of Florida, the Gilchrist Club. More of an ‘estate’, the club encompasses almost 27,000 acres of prime managed forests and uplands. There’s upscale lodging for members, a 5-stand shotgun range, a world-class dining facility, and a pro shop. Members can hunt for quail, pheasant, chukkar, turkey, ducks, hogs and deer in the mostly-wooded tract. Or they can enjoy some world-class trophy bass fishing in the club’s lakes and ponds, or on the nearby Suwannee River. The club also offers several special, members-only, events a year. For example, fly-fishing legends Flip Pallot and Andy Mill will be hosted for a 3-day workshop in April, 2011. Membership in the club is not exactly cheap, but is a similar value compared to what you’d expect to pay at a first-rate golf and country club. So–if you’ve finally given up golf (Because those little golf critters are hard to cook and don’t taste very good!) and decided that hunting and fishing is more to your liking, check this place out. 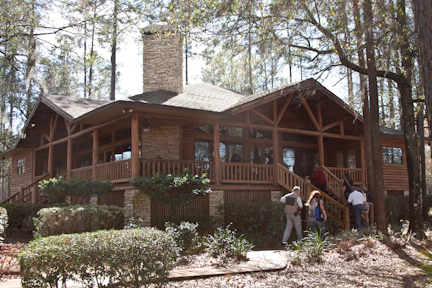 Lodging at the Gilchrist Club is far from 'bare-bones'! Leiza Fitzgerald, the Gilchrist Club’s Vice-president of Membership Development, can give you specific information about membership and arrange a tour of the facility. looking to join a hunting club, please send information on the dues. Bill…contact the Gilchrist Club directly for information. 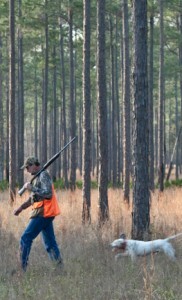 I’m responding to your ad in Garden and Gun, specifically the wingshooting clinic. John, you can contact the Gilchrist Club directly at 888-535-4868.